Ms Jane Wairimu, mother to murder suspect Judy Wangui is still finding it hard that her born again daughter had anything to do with the murder of businesswoman Mary Wambui who was hit severally in the head with a pressure cooker and stabbed before being dumped in Juja like a bag of garbage. 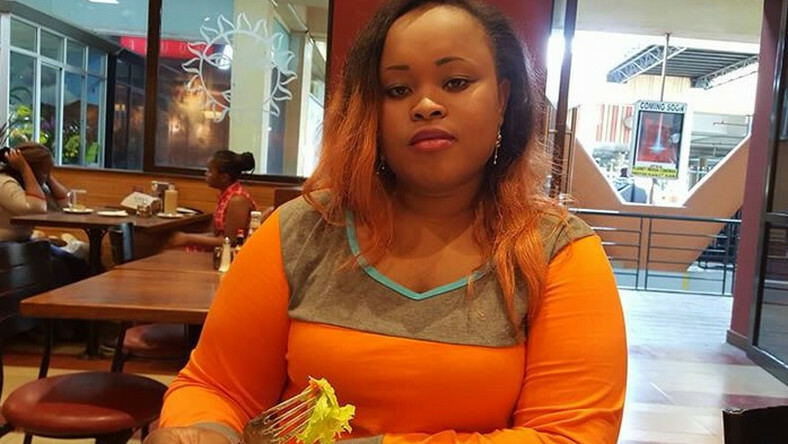 Jane Wairimu claims that her daughter is incapable of hurting anyone because she brought up in a Christian way. She says that her daughter had promised to relocate her from their rural home so that she would lead a better life in the city. The shocked mother is a loss to explain how on earth her daughter found herself in a situation that could lead to life imprisonment if found guilty. Just a week before the murder of Mary Wambui, Judy Wangui took her son to live with her ailing mother in Gikure Village in Gatundu South, Kiambu County. The boy was enrolled in a local private school. Judy Wangui frequented Gikure Village, often visiting to bring her mother basic needs and medication. She is now under arrest as investigations to unravel the murder of Mary Wambui continue. She attended Gikure Primary School but did not go beyond Standard Eight. Her friends had earlier lied that she was in her second year of study taking an IT related course in an unnamed university in the country.